Tiny lips. Tiny toes. Tiny fingers and tiny nose. Your little one is only this little once. Preserve every detail and every memory. After having my son, I quickly realized how fast time flies by after having kids. In a blink of an eye, my little newborn’s characteristics were changing. Days quickly turned into months, then suddenly he was walking and talking. His newborn photos are SO precious to me. I find myself looking at them in complete awe of how little he was. That is the power of photography. It’s so important to preserve memories that would have otherwise been forgotten. Safety is my #1 priority. I hire and pay an assistant to work with me during your session. Many newborn photographers opt out of this extra expense. Why do I pay someone to assist me? Because I want two sets of eyes and two sets of hands on your baby at all times during the session. 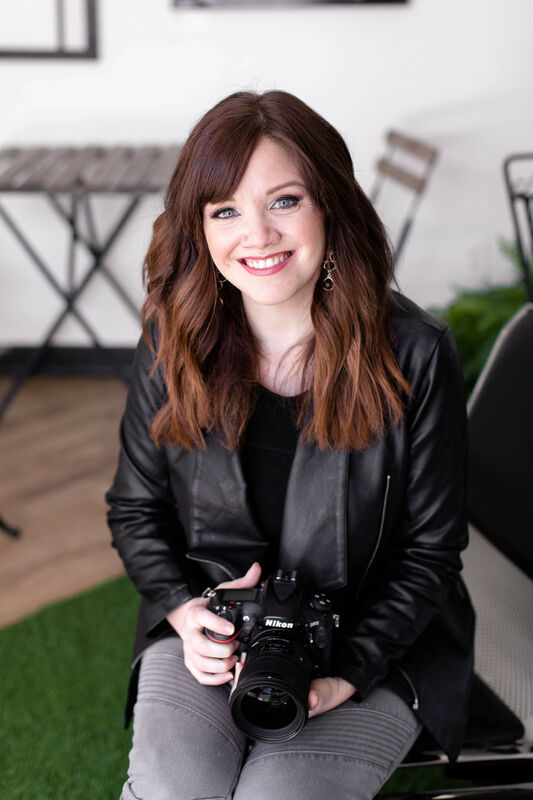 When I step back to take the photos of your little one, my assistant is within arms reach. Your little one is perfectly safe in these poses, but the added assurance of having an extra hands close by is priceless to me. I’ve mentored with the best newborn photographers in the industry. Naomi Hewitt, Erin Tole, and Rachel Vanoven. If you haven’t heard of them before, take a look at their work. 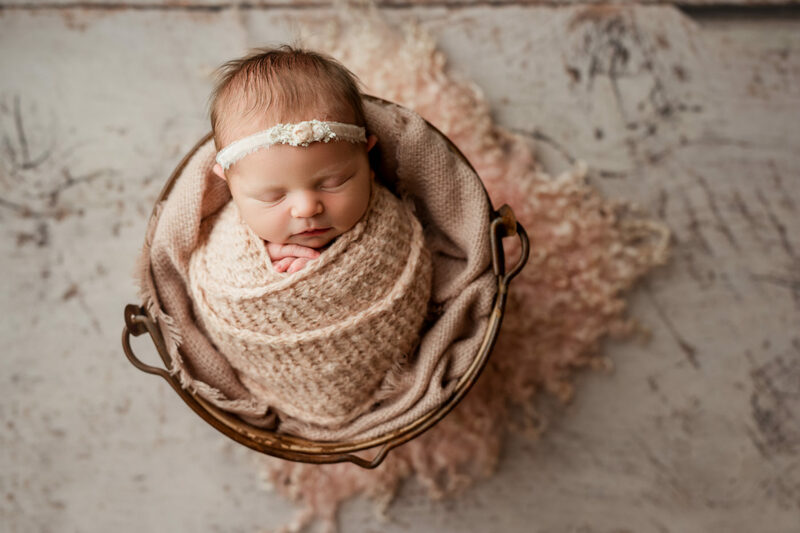 They are the leading newborn photographers in the industry, and the trend-setters of newborn photography. I’ve mentored alongside these amazing artists, and by doing so, learned from the best of the best at mastering lighting, angles, and posing. 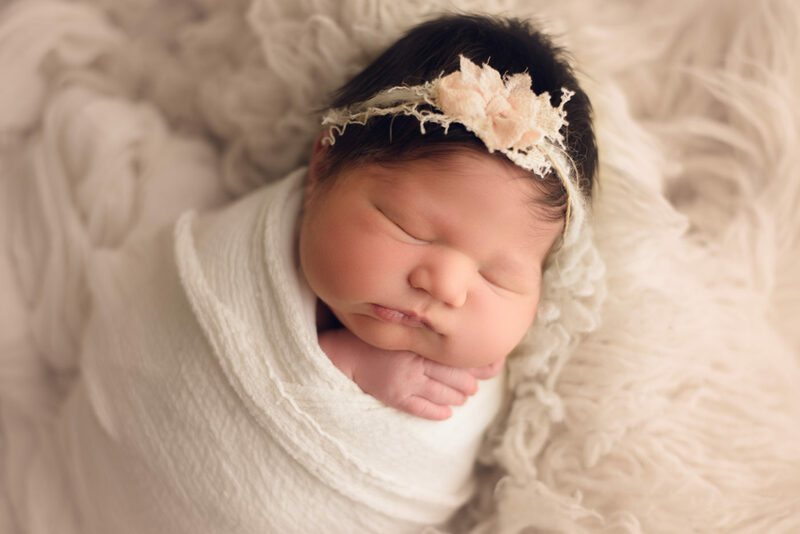 When should I schedule my newborn session? As soon as you can! Newborn sessions are taken when your baby is between 5 – 14 days old. We will schedule a tentative session date about a week after your due date. When your little one arrives, this date can be adjusted if needed. Does my baby have to be between 5 - 14 days old for the session? 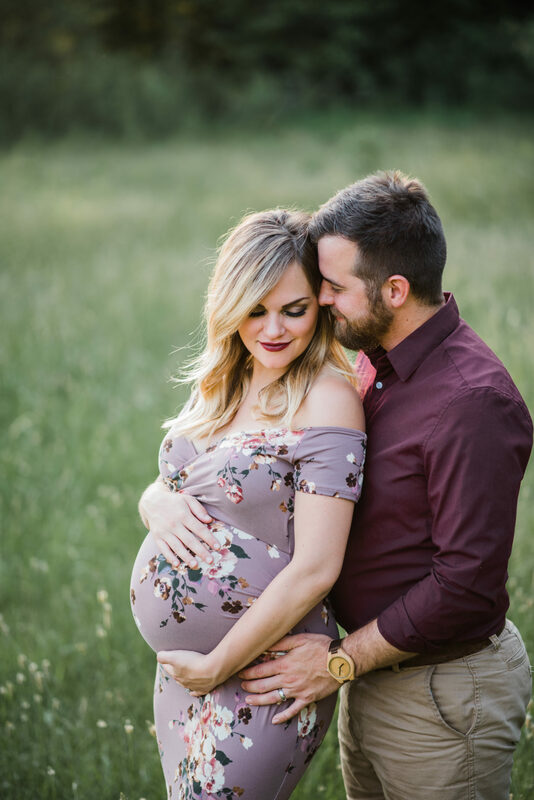 Yes, this is why it’s important to plan ahead and schedule your session in advance to your little one’s arrival. The session will take place at my studio in downtown Fort Wayne. How will my images be delivered? You will receive a personalized online gallery filled with your edited images. The digital download is included with the session price, so you will have the ability to download the images from the gallery to your computer. Will I receive a print release? Sure do! The print release is included with the session price. Discount maternity and milestone sessions are available when booked with a newborn session. You’re expecting! This season in life is full of anticipation and deserves to be documented, as well. Maternity sessions are a 30 minute session taken when you are between 32 – 36 weeks pregnant. Your spouse/partner and any other kiddos you may have are welcome to take part in the session. Contact Stacey to inquire about pricing and full details. The first year of your baby’s life, they grow + change so, so quickly. Capture every new milestone, whether they are doing tummy time like a pro at 3 months, or sitting up strong at 6 months, to walking at 12 months. Capture them beautifully. I offer two different packages for milestone sessions. Premium Milestone Collection which includes every milestone in the first year of your baby’s life. 3 month, 6 month, 9 month, and 12 month sessions. Oh, and your little one will have a blast with the complimentary cake smash at the end of the 12 month session. Deluxe Milestone Collection which includes two milestone sessions, 6 month and 12 month sessions. Ready to book? Or, need more information? I would love to hear from you!